﻿Bruce Goodman's "An update to the calendar"
Renaldo came up with an excellent proposal: if each month had thirty days then that would leave five days unallocated. That would mean a five day holiday for the whole world! Unless it was a leap year, then there would be a six day holiday. First he wrote to the pope, since his predecessors had invented the Gregorian calendar that replaced the Julian calendar of Julius Caesar. The pope wrote back and said he thought the business of reorganizing the calendar was possibly no longer the prerogative of the papacy, although he'd be happy to see the pagan names of the months changed. Perhaps the United Nations might be able to deal with the matter more effectively. The United Nations wrote to Renaldo and said that in all its history the United Nations had achieved very little, and they doubted whether anyone would take any notice of them. Why not write to the President of the United States? The President of the United States said there was enough trouble trying to rewrite the nation’s history without worrying about what month it was. Try the Chinese President. The Chinese President suggested that the whole world change to the Chinese system and since it was the year of the rat it seemed entirely appropriate. If Renaldo didn't like it he could write to the President of Russia. The Russian President answered and said that the Russian Orthodox Church already followed an earlier calendar and it was unnecessary to change anything to get in line with the rest of the world. It was really up to each government to decide what was best for them, and of course Russia wouldn’t interfere with any foreign decision-making. So Renaldo wrote to every foreign leader in the world. Each one replied the same: those who worked for the government were thrilled with the suggestion and were taking the extra five days off each year anyway. But as for changing the numbers of days in a month; that was a bit too complicated. 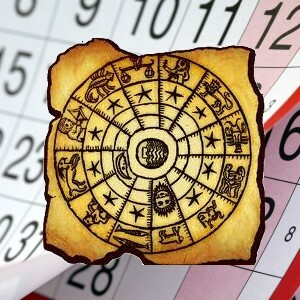 And then the world came up with a wonderful compromise: the calendar would be scrapped altogether. There were no days, no weeks, no months, no years. At long last, no one was offended.